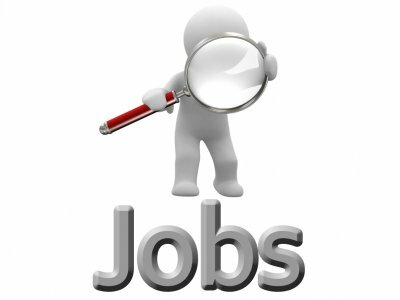 This page is dedicated to local job advertising. Local companies are invited to post their vacancies here, at no cost. Voluntary organisations may also post vacancies. Please email the editor with the details, and we will post them within 24 hours of receiving the information: haddenham.net@hotmail.com. South Central Ambulance Charity is at an exciting time in its development with growing ambitions to support more projects, staff and volunteers across SCAS. An opportunity has arisen for a full time administration assistant to support the small Charity team in providing an efficient and consistent administration service. Part of committed team you will also work closely with the SCAS Finance Team and the Community Engagement and Training Team. Building excellent relationships with our volunteer Community First Responders, individual donors and supporters of the Charity you will ensure all income and expenditure is accurately recorded and that all individuals receive an excellent level of supporter care. Recording and thanking donors, dealing with general enquiries, sending out promotional materials and maintaining our database. Although not part of this role you will encouraged to attend and support fundraising and Charity events when possible and you will in time gain a full understanding of the Charity and its work across SCAS. SCAS is a progressive, innovative and caring NHS Trust, with a vision towards excellence, saving lives and enabling our patients to receive the care they need. The South Central Ambulance Charity has a new two year plan to develop and grow its fundraising programme and to expand the supporter base. The Charity is ambitious to grow the support it can give SCAS in funding projects, equipment and programmes that are not funded by the NHS. This role is key to us achieving this. Bens Cookies are seeking a Warehouse Assistant to join their friendly team in Chalgrove. This is a permanent position, approximately 30 hours a week, 5 days a week, 1000-1600. Occasionally, there may be more hours available, especially during times when holiday cover is required. The role requires someone that is capable of lifting and carrying stock items, picking and packing, general housekeeping, palletising frozen stock and assisting in stock taking and preparation. There may also be a requirement to drive on occasion, so a full clean licence would be an advantage. Attention to detail, the ability to follow processes, work unsupervised and good communication skills are important factors to note. Previous experience would be beneficial, as would an FLT licence but full training will be given to the right person. Own transport or means to reach our site is essential due to our rural location. A Community Festival being planned for Summer 2019. The organisers are lookin for social media Volunteer. They will offer an excellent opportunity to develop workplace skills under guidance and with support from experienced marketing & PR professionals. Building Bespoke are a Haddenham based contractor that prides itself on undertaking local high quality work whilst maintaining excellent relationships with its primarily residential clients. We have a large unit in Kingsey which is our base and have invested heavily and new plant and vehicles We have a great labour force and our growth has been impressive. We are looking for an experienced construction manager that can actively manage the projects on site with close coordination with the office management team. All of our work is local and we typically have 6-8 projects on site at a time. These range from extensions to new builds. Our turnover in 2019 is likely to be in the order of £2.5m. We are looking for an energetic local person with the appropriate experience and Health and Safety credentials and are offering a good package and a great opportunity for the right person. Would you like to join the team at Phoenix Electrical in Thame supplying electrical appliances to Thame and surrounding area — ideally 3 or 4 days a week. Are you in search of a fulfilling career working with children aged 11-19 who have autism and severe learning disabilities? Based at our children's home in the beautiful village of Wingrave, you'll be part of a close-knit team supporting young people with their daily lives and encouraging their participation in community activities and hobbies. No experience is needed — so long as you have the right approach, we can teach you the rest. Full-time (38 hours per week), and part-time work available (minimum 22.5 hours per week) with shifts of 7.5 hours. Enhanced annual leave allowance of 33 days including statutory public holidays, rising with service to 38 days after five years. We pay for your DBS check. Employee Assistance scheme to support your health and wellbeing. Full Induction and ongoing training. Chearsley & Haddenham Under Fives (CHUF) have vacancies for new pre-school assistants to join our teams in Chearsley & Haddenham. Hours on application and will be term-time only. Previous experience and pre-school qualifications would be an advantage, but are not essential as full training is available. Duties will include setting up and clearing away toys/resources at the beginning and end of each session, supporting the Supervisor to deliver current planning activities, caring for the children and encouraging them to 'learn through play', acting as a 'Key Person' keeping the children's records up to date electronically, monitoring progress and planning next steps for them to work on to further their development as set out in The Early Years Foundation Stage Framework. A fun, caring personality with a willingness to learn and work well as part of a team are essential! We offer a competitive rate of pay which is dependent on qualifications and experience. Chearsley and Haddenham Under Fives is a registered charity. We were awarded a "Good" rating by Ofsted last year recognising that we provide a happy, secure and supportive environment to our children. If you would like to join our dedicated team we would love to hear from you. Application forms can be posted to CHUF, c/o St. Mary's School, Aston Road, Haddenham, Bucks, HP17 8AF . Lord Williams's School day nursery is a private day nursery providing care for children in and around Thame. We offer a stimulating, caring and secure environment with a fun loving environment and a family atmosphere. Are you passionate about inspiring children to be the best they can be? If so, we have a great opportunity for a Qualified Nursery Practitioner / Nursery Nurse to join our team and we want to hear from you! * Be committed to safeguarding and promoting the welfare of children and their families and all visitors and users of the nursery. * Assist with the creation of age appropriate, challenging and stimulating child led and adult led activities, meeting the individual needs of children taking into account their interests and stage of development. * Working as part of a team, communicating effectively with children and their families, colleagues and all users of the nursery. * As a keyworker you will build strong relationships with your key children and work in partnership with their families. You will plan & observe children regularly, assess and develop their learning to ensure they are progressing. * Creating and maintaining an individual plan of children's interests and activities to cover all areas of the EYFS. * Mentor, support and oversee all Apprentice Nursery Practitioners, unqualified Nursery Practitioners and students; helping them meet requirements. Personal Qualities: Flexible to the changing needs of the nursery with the ability to meet the demands of a busy daily nursery schedule — Reliable, trustworthy and honest with a good absence and timekeeping record — Ability to use discretion and have an understanding of the importance of confidentiality — Ability to work independently and as part of a team — Ability to use creativity to help plan and implement learning projects and theme. Working hours: 8 hours per day plus 1-hour lunch break, shifts between the hours of 7.45am — 5.15pm. We work 44 weeks per year term time, including half terms and 2 weeks' summer club during the first 4 weeks of the 6 weeks' summer holiday. Holidays are taken when the nursery is shut. Vodafone is one of the world's leading mobile communications providers (but then you probably know that!). What you may not know is that Haddenham-based Cosine are looking for the very best lead generation team to work on behalf of Vodafone in a brand-new role. We're excited about this opportunity and want you to be a part of it! Supporting the Vodafone field-based team, you will book appointment leads to create an even bigger buzz around their product range! You will get businesses re-engaged with Vodafone and re-emphasize why Vodafone are a world leading mobile phone communications organisation. * A positive and can-do attitude. Yes, I'm up for this — what do I do now? Don't delay apply today! Please attach your most up to date CV or forward your CV quoting referenceVODALG3, telling us why you're suitable and detailing your work experience. Email: recruitment@cosineuk.com with a CV. Telephone: 01844 262 753 and ask for Jared Veldman. Defaqto is a financial information business, helping financial institutions, financial advisers and consumers make better informed decisions. We're a respected, data-driven software provider and we pride ourselves on delivering robust, well supported tools and applications to our customers. We're based in Haddenham (near Aylesbury in Buckinghamshire) and we're a great place to work — just take a look at our Best Companies rating and Glassdoor reviews! Our Business Analysts are involved in the full product lifecycle from project discovery and idea development, through requirements gathering and specification, to software testing and release. They take ownership for gaining stakeholder agreement to the scope of each project, and then ensuring on time and in budget delivery. In this role, you'll have the satisfaction of contributing to and influencing the development of tools and applications utilised by some of the biggest names in the UK financial services industry, including our market leading Defaqto Engage software for financial advisers. You'll take the concepts agreed by our product steering group; identify, analyse and document the detailed requirements; then work collaboratively with our development team to ensure the delivery of robust software to meet business and customer needs — all within an agile development environment. We're looking for someone with a proven track record as a successful Business Analyst within a web software development environment. In particular, you will need to demonstrate user interface design/user experience skills, creating wireframes to help solidify the application workflow and design key user interactions. You will also need to have experience creating user stories with testable acceptance criteria to help deliver right-first-time functional enhancements. The successful candidate will be independent and proactive — a results-focused individual who takes ownership for getting things done. At the same time, they will have a positive and collaborative approach to working with a wide range of people across the business. Any experience within the Financial Services industry would be highly desirable, but if not then you'll definitely need the interest and willingness to develop in depth knowledge of the industry. This role is based at our offices in Haddenham. Bens Cookies are looking for mixers to work within a small friendly team in our dough mixing kitchens in Chalgrove to work an afternoon to evening shift. Using only the best ingredients, and following a secret recipe, our dough mixers prepare the raw dough ready to make our world famous, delicious cookies. We need someone reliable, conscientious, and able to work on their own initiative. Monday to Friday, 30 hours per week 1pm to 7pm. Involves some heavy lifting. Previous experience within a food related environment would be an advantage but full training will be given to the successful candidate. Own transport or the means to reach our site is essential due to our rural location (OX44 7RW) — about 24 minutes drive from Haddenham. Applicants must be 17 or over, experience a bonus but not essential. Abbeyfield (Stonehill House) is a residential care home located in Churchway, Haddenham. The manager is offering permanent contracts for the following roles described below. Training will be provided and holidays accrued. All subject to satisfactory references and DBS check. Abbeyfield is looking to expand its executive committee especially anyone with HR experience. Registered society under the Co-operative and Community Benefit Societies Act 2014No 23635R. An exempt charity. We have a permanent contract opening for a Pre-school Assistant to join our fun and friendly sessions, working within a team of experienced, and professional caring staff. The position involves: setting up and clearing away resources at the beginning and end of our sessions, caring for the children and encouraging them to 'learn through play', keeping the children's records up to date and setting targets for them to work on. A cheerful and caring disposition and a willingness to work hard and learn are essential! The ideal candidate MUST hold a Level 3 qualification in childcare or above. Rate of pay: dependent upon qualifications and experience. ✤ Please note working hours may change due to demand for our service. We will then forward on an application form to prospective candidates. If you have any queries please contact our Manager, Sally Warren on 01296 655162. This post is exempt from the provisions of the Rehabilitation of Offenders Act 1974; vetting and CRB clearance is required prior to starting work. We have a maternity cover 12 months contract opening for a Pre-school Assistant to join our fun and friendly sessions, working within a team of experienced, and professional caring staff. The ideal candidate will hold a Level 2 or 3 qualification in childcare. Closing date for application form submissions: ASAP. Little Oaks Pre-School has an Equal Opportunities Policy and we encourage applications from all sectors of the community. Dandara was established in 1988 from the desire to provide innovative homes and commercial properties, which would offer real value for money without compromising on design, durability or quality.Today Dandara is one of the UK's largest independent property development companies, with over 10,000 happy customers and more than 100 industry awards for design and quality — and it's all thanks to the vision and passion of our dedicated team. Required for 20-30 hours per week, Monday-Friday (between 8.30-3.30)during term time. The position will involve acting as key person to a group of children and assisting the manager in the planning and delivery of activities and experiences to support learning and development in the Early Years Foundation Stage. Required for maternity cover from September 2019 — March 2020 with possible option to extend employment. Must be qualified to L3 and have minimum 1-2 years' experience in Early Years. Competitive hourly rates are available dependent on qualifications/experience. Defaqto is a respected, data-driven financial services software provider; we pride ourselves on delivering robust, well supported tools and applications to our customers — which include some of the biggest names in the UK financial services industry. We're based right here in Haddenham and we're a great place to work! We're currently looking to hire an additional Customer Support Consultant to join our Customer Success team, primarily supporting financial advisers in their use of Defaqto Engage. You'll take calls and emails from customers using our products and services, ensuring all software, data and training issues are recorded, investigated, resolved and communicated in a professional manner within agreed timelines. In addition to having a great telephone manner and email writing skills, you will have previous experience of telephone and email customer support, ideally within a business-to-business environment. You must be passionate about providing excellent support to customers. You'll have a high attention to detail and be able to follow processes and perform tasks in a structured well thought-out manner. Whilst we'll obviously provide you with full training, you must have the ability to learn new software applications quickly and explain them to others clearly. A high level of IT literacy and good problem solving skills are vital. Previous experience in a software support role is highly desirable. Ideally, you'll have at least a basic understanding of the financial services industry. Any knowledge of pensions, investments and the financial advice process would be very useful, but as long as you're keen to learn then we can teach you everything you need to know. In return, we can offer an interesting and challenging role within a flexible and collaborative work environment, supporting a market leading software product. The salary for this role is between £18,000 and £23,000 (dependent upon skills, knowledge and experience) and you'll also benefit from all the great things about working for Defaqto. You will be contracted to work on a freelance basis as per your Letter of Engagement, therefore you will not have any specific sales targets to reach. However, in order to qualify for commission, successful applicants will be required to attend a 3-day training course on our services/products in order to successfully sell to potential customers. You will be reimbursed £200.00 for your time during these 3-days and payment will be made on completion of your first sale. Salary: £28,000.00 to £35,000.00 /year dependent on experience and skills (plus additional benefits and bonuses). We are looking for an experienced Mechanic / Technician to work within our team, to start as soon as possible. Our garage is equipped with the latest diagnostic machines and computerised four wheel laser aligner. We have a four ramp workshop, a separate ATL MOT bay and a three ramp additional workshop / tyre bay. As a vehicle Mechanic / Technician you should have a good knowledge of working on different vehicles. Ideally you will be fully qualified to level 3 or equivalent ( however this is not essential) with at least 3 years' experience of working in a garage environment. You will have worked on a wide range of vehicles and should be competent and able to work on your own projects. The ideal person will take pride in their work which must be of a high standard. Candidates must be able to demonstrate exceptional communication skills both verbally and written and have a strong technical knowledge and work ethic. You will be confident in your ability but be courteous to other staff members and the general public. Candidates with an MOT licence will be at an advantage, but this is not essential. For the right candidate we are prepared to put you through the test if required / interested in development. Full Valid UK Drivers licence required. If you're a great organiser with excellent administration skills and have a flair for getting things done, then you could be just the person we're looking for. As a fast-growing full-service marketing agency, based in Haddenham, Buckinghamshire, we are looking for an all-rounder with a strong 'can-do' attitude. As an Office Manager, you will be responsible for organising all administrative duties and activities that facilitate the smooth running of the business. Reporting to the Finance & Operations Director, as a self-starting Office Manager you will be required to work alongside our Operations and Account Management team to ensure the successful and timely delivery of projects for our portfolio of clients across print and digital platforms. The successful candidate must have a minimum of 5 years in a similar role, will be highly organised, have excellent communications, with a strong sense of accountability and ownership. It is important you have the confidence and capability to to work within a fast-paced, time-critical environment — most importantly you must be happy to get 'stuck-in'! * Overseeing the day-to-day running of the office ensuring all jobs/tasks are allocated and that no staff members are under/over worked. * Develop and implement new administrative systems as required. * Keep stakeholder details up-to-date. * Arrange training and provide support for new and existing office staff. * Coordinate new staff paperwork and personnel info. * To arrange staff and prepare boardrooms for meetings, providing refreshments when visitors are present. * Organise and chair meetings including taking minutes as required. * Booking of travel and hotel as required for staff members. * Office maintenance including kitchen/stationery orders, liaising with cleaners etc. * Holiday requests and appointment management for staff. * Any other office administration duties as required.